My research uses geochemistry to understand earth history. Our group focuses primarily on the history of the atmospheric greenhouse gases and links to climate change, with occasionally forays in to dating glacial deposits and studying extraterrestrial dust in ice. 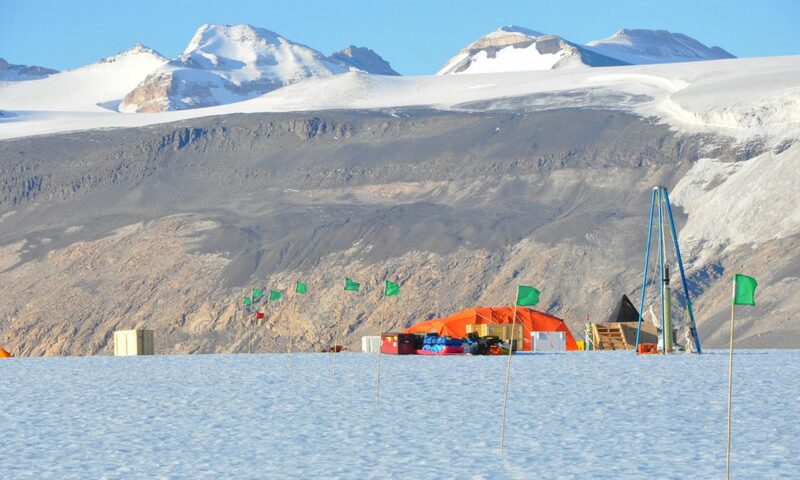 We work on deep ice core projects with colleagues around the world, and on novel records from ablation zones on the Greenland and Antarctic ice sheets. Our group builds analytical equipment for ice core analysis (and works hard to keep in running). My work aims to reconstruct and understand past climate change and atmospheric composition, using deep ice cores from Greenland and Antarctica. I combine numerical modeling, data analysis, ice core measurements and field work to achieve those goals. 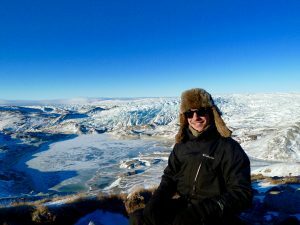 My work includes reconstructing Greenland climate, investigating inter-hemispheric climate coupling, ice core time scales and dating, and firn processes. 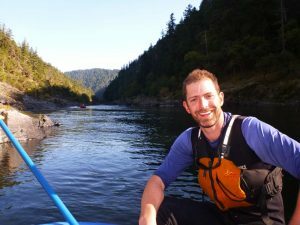 Mike began working as the lab technician in 2008 after finishing a masters degree in geology. 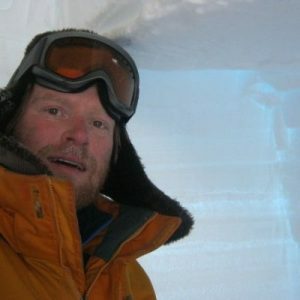 His primary responsibilities include measuring trace gases from ice cores using gas chromatography, data management, assisting students and post-docs with technical aspects of research, method development, curating ice cores, maintaining lab facilities, and assisting with daily operations of the lab. He occasionally assists with fieldwork. 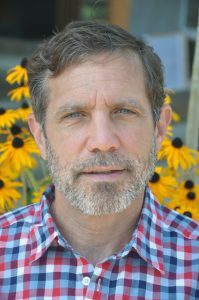 When he is not working Mike enjoys working out with his masters swim club, going to the yoga studio, playing ultimate frisbee, reading old-school science fiction, and camping out in the mountains and on the coast. indicator of past ice-sheet elevation. Additionally, understanding how the firn transitions to glacial ice is important for interpreting ice core gas records. Cores that I have worked on for total air content include, WAIS Divide, GISP2, NEEM, TUNU, SPice, Siple Dome and Taylor Dome. In addition to measuring the total amount of air that gets trapped, I also measure CH4 for the purpose of calculating the inter-polar difference in concentrations between Greenlandand Antarctica over Greenland Stadial and Interstadial cycles. We can use this calculation to infer latitudinal source distribution changes. In addition to ice core research I am deeply interested in education, and how societal pressures, whether economic, geographic or cultural, can influence learning outcomes and academic success in college. Hi! 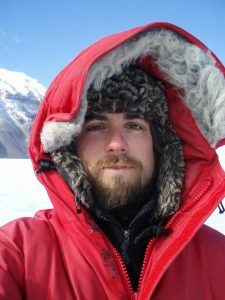 I am a PhD student in the OSU ice core lab, and my research topics include the following: stable isotopes of CO2, stable isotopes and site preference of N2O, links between climate and the carbon cycle, links between climate and the nitrogen cycle, ice core chronologies, blue ice areas, and the last glacial inception. Before joining the ice core lab at OSU I obtained a M.S. at Central Washington University where I studied the history of black carbon preserved in the Mt. Logan ice core. Previously I received a B.S. at Tulane University where my first research project was about the coupling of climate and long term erosion on the Kohala Peninsula, Big Island, Hawaii. Besides learning and working on science in the lab, I enjoy fly fishing, music composition/ production, homebrewing, pretty much any outdoor activity, and science field work. Feel free to contact me if any of our interests (scientific or otherwise!) are aligned. 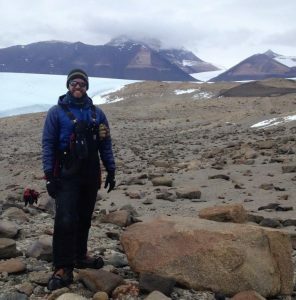 I am a PhD student in the OSU ice core lab and am interested in paleoclimate research. I am currently working on the methane record in the South Pole ice core. Before joining the ice core lab at OSU I obtained a B.S. at the United States Naval Academy where I studied oceanography with a concentration in marine geology. 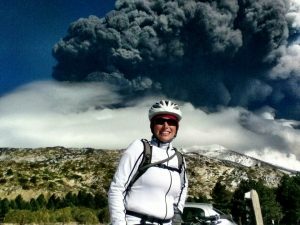 Other interests include biking, hiking, and anything outdoors. Hi, I’m a new grad student at OSU studying extraterrestrial dust in ice core records. I seek to constrain the physical characteristics of interplanetary dust particles entering the atmosphere, and potentially use their He-3 signature as an extraterrestrial signal. My other research interests include using stable isotopes to reconstruct paleoclimate, investigating bipolar see-saw mechanics and greenhouse gas dynamics. My past research at Columbia focused on reconstructing hydrothermal activity on the Juan de Fuca ridge over the last glacial period using Fe content in marine sediment cores. Hi all, I’m a new graduate student in the OSU Ice Core Lab studying the past biogeochemical dynamics of methane, a potent greenhouse gas. By measuring the isotopic ratios and geographic distribution of atmospheric methane trapped in ice cores, we can constrain the causes of past abrupt changes in concentration and climate. The goal is to use this improved understanding as a predictor for how Earth’s climate system might respond to current warming, especially because many modern methane reservoirs are considered unstable. Before moving to Oregon, I obtained a B.S. in Environmental Science at the University of Rochester, where I studied modern methane dynamics in freshwater lakes and coastal regions. 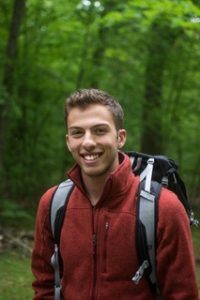 In my free time, I enjoy backpacking, skiing, rock climbing, and woodworking.